It's the first of the month, and you all know what that means, it's time for another OPE Zavvi Cup! 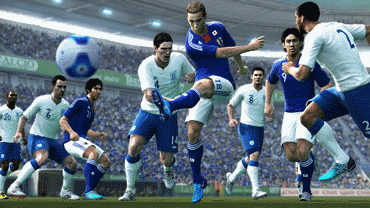 For this month's tournament, players will only be allowed to use Asian international teams. Players are allowed to switch teams between matches if they wish to do so. As usual, there are two tournaments; one on Xbox 360 and another on Playstation 3. There's also £25 in Zavvi vouchers up for grabs for the two winners, so be sure to sign up and guarantee your spot before it's too late.